www.investing101.ca: Craving Simple Core Portfolios? 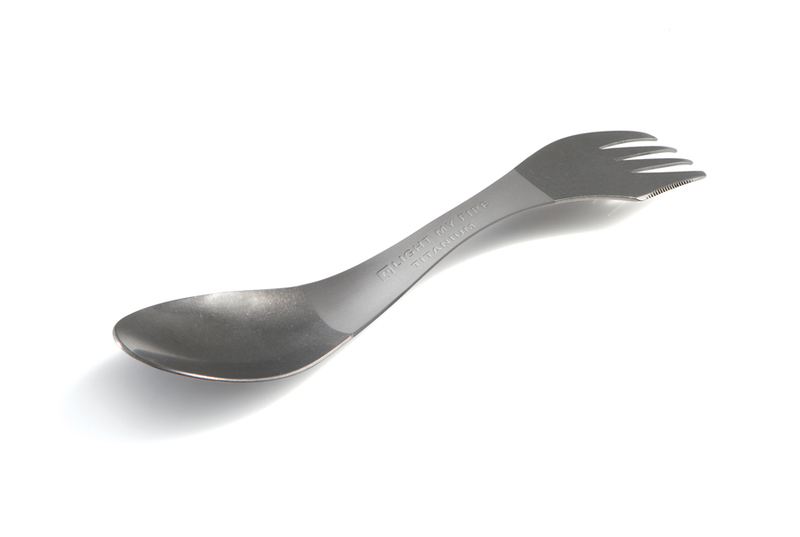 This is a spork...spoon and fork together at last. For some investors, All-In-One core portfolios may be the way to go. These are for folks who think that setting up a couch potato portfolio of funds or ETFs is too much work and who eat with a "spork" to simplify their lives. There are high cost portfolios available from Investors Group that are "perfect choice for investors who are just starting out or who have little time to spend managing their portfolios". Or those who have not read any earlier posts. These portfolios fall into risk tolerance flavours like Aggressive, Moderate Aggressive, Moderate, Conservative, or Growth or Income. For example, the Allegro Moderate Aggressive Portfolio is a Global Equity fund - its a stew of other Investors Group funds. The hardly palatable MER is 2.67% and is based on a weighting of ingredient fund fees with a dash of 0.07% added on top to hold it all together. Want the same thing in an ETF? Try iShares' CBD - Balanced Income CorePortfolio™ Fund. It "combines several core asset classes, including Canadian and Global Equity, Emerging Markets Equity, Global Real Estate, Fixed Income, Preferred Shares, Commodities, in one low-cost fund". The MER is slim and trim at a mere 0.69%. iShares also offers Balanced Growth, Conservative, and Income CorePortfolios in case you crave more or less sizzle. TD offers Comfort Portfolios. Again, these are bundles of individual TD funds, giving you diversity with simplicity. There MERs range from 1.75% for the TD Comfort Balanced Income Portfolio, up to 2.21% for the TD Comfort Aggressive Growth Portfolio. All-in-one, mutual fund alternatives include the Beutel Goodman Balanced Fund (it has a low MER of 1.24%) but you may be soured paying an up front sales charge to get in. The tasty Questrade fee rebate is 0.225%. The McLean Budden Balanced Growth Fund, now a Sun Life MFS fund, was a great value for D Series funds, but new A series funds had a MER of 1.95%. Not sure if the Questrade fee rebate is 0.225% still applies. Lastly, the Mawer Canadian Balanced Retirement Savings Cl A Mutual Fund is a good choice - MER of only 1% and a Questrade fee rebate of 0.135%. With all these choices, hot aggressive funds, cool conservative ones, and those in between, one core portfolio may be just right for you.